Aside from that being one of the most ridiculous statements i think i have ever read on the internet, it is one which could be potentially damaging for a number of reasons which i will get on to later on in the article. My aim is to explain what aspartame is, where the anti-aspartame hype came from and what the truth is backed by good scientific literature. Aspartame is a low calorie sweetener which is commonly used in diet soft drinks and other low calorie foods and drinks. 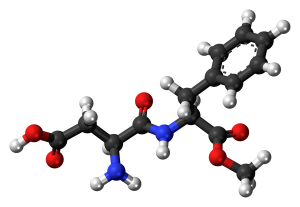 It is classed as a dipeptide which simply means 2 amino acids joined together. With aspartame these amino acids are aspartic acid and phenylalanine. Both of these are actually essential for various processes within the body and they are either produced in our body from other foods or found naturally in our diets. Aspartame contains roughly the same amount of calories per gram as sugar, however, it is also around 180x sweeter, meaning you need to use much less of it to get the same sweetness. Funnily enough, there are other commonly used dipeptides which aren’t given the same treatment as aspartame. These include carnotine and carnosyn, the latter is commonly found in a number of sports supplements but doesn’t get the same hate from “holistic nutritionists” and the like. When it comes to being digested, aspartame is quickly and completely broken down into by-products which includes phenylalanine, aspartic acid and methanol. These then enter our system through normal routes. It should also be mentioned that hardly any aspartame actually enters the bloodstream as it has been broken down. In 1980, several European countries approved the use of aspartame and has proved very controversial ever since. A report was published in 1996 which looked at the incidence rates of certain cancers since the approval of aspartame and was shown to be an increase. This caused people to get worried about the sweetener and it has been blamed for a number of issues. However, this study has very little scientific basis and if you look at the incidence rates of brain tumours which is tabled in the report an approx. 12% increase is seen since the approval of aspartame. This figure could appear worrying but this is an increase of 12% NOT a 12% risk which are too entirely different things. When you look at the actual volume of incidences then it will also make you reconsider. The increase is actually from around 47 tumours per 1 million people (0.0047%) to around 53 tumours per 1 million (0.0053%). So, despite an increase of 12% it is actually only an increase of 6 people developing tumours for every 1 million which in the grand scheme of things is absolutely minute. Think about it this way… If the odds of winning the lottery was 47 in 1 million (or 0.0047%) and they decided to increase it to 53 in 1 million (or 0.0053%) but made a massive deal about it on the TV adverts etc. saying “YOUR CHANCES OF WINNING HAVE INCREASED BY A MASSIVE 12%” you would probably be quite angry once you found out the actual odds of winning. It has been shown that there can be health risks associated with the overconsumption of the 2 amino acids that make up aspartame which is partly where the theories surrounding it’s danger come from. However, these need to be in very high doses. So that brings me onto my next point about how some research shows it to be dangerous. 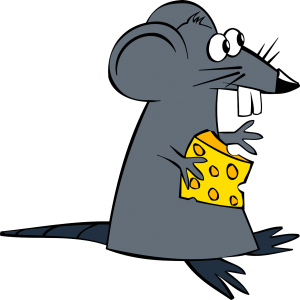 A big issue with a lot of studies, not just on aspartame but is particularly true in this case, is that they are carried out on rodents, such as mice or rats. The main issue with this is that their bodies are not like humans, they are much, much smaller so the results are only a means of finding possible links which would then require further studies to be conducted in humans before it can be said to be true or not. Unfortunately what tends to be the case in the world of nutrition is that people jump on the bandwagon of certain things (in this case aspartame) and will reference these rodent studies to back up their claims before any human studies have been carried out. When large doses are given to rodents during trialls and it shows a negetive effect, this same dose may not have the same effect on humans due to us being considerably larger in size which is the case with aspartame. When people share this on social media, it makes it seem like fact as there are references, however, most people will not analyse the evidence before sharing, this will then lead to more and more people believing the hype surrounding it all. In 2006 a study of over half a million people by the US National Cancer Institute directly compared people who consumed aspartame containing drinks with people who did not. The results of this study conclusively found that aspartame does not increase the risk of leukemia, lymphoma or brain cancer. In 2013, the European Food Safety Authority (EFSA) published a review into the safety of aspartame and has concluded that it is safe for human consumption including in pregnancy and children. If you want to read up on this review, click here to find view the 263 page report. The acceptable daily intake is set at 40mg per kg body weight. Which put into perspective, an adult weighing 75kg would need to consume around 16 cans of diet coke a day (There are around 180mg in a can). This acceptable intake does not mean that if you drink that then it is dangerous, these are set way below what could actually cause issues which means that would would probably have to drink well over 1000 cans per day. If you were to drink that then i think you would have bigger issues than that of aspartame. This takes us back to sugar and the question of which is worse, diet drinks vs full sugar drinks? It is very well established that drinking too much sugar can contribute to consuming too many calories which will result in weight gain as well and the associated health problems such as type 2 diabetes, heart disease, tooth decay and some cancers. 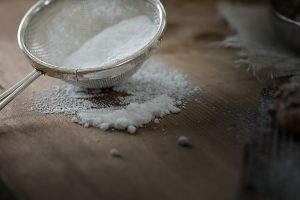 As discussed previously, aspartame has been proven to be safe so if you are thinking about cutting out aspartame and having the full sugar versions instead based on a random meme going about Facebook then i would recommend considering everything i have discussed in this article and maybe let whoever shared it know the real science backed truth to help spread the made up nonsence that could damage peoples health. The one issue that should be noted is the rare genetic condition known as phenylketonuria or PKU which is where the body is unable to breakdown the amino acid phenylalanine. When levels of this build up in the blood, it can prevent other important chemicals from getting to the brain resulting in abnormal brain development. In cases of PKU the dietary intake of phenylalanine should be severely limited. It is usually detected by a routine blood test shortly after birth and will then require the child to follow a restricted diet. Due to phenylalanine being an ingredient in aspartame, it is important that people with PKU limit there intake of it which is why it will be listed on ingredients lists in foods. Just to finish off I want to emphasise the point that unless you have PKU or are allergic to aspartame then you do not need to avoid it, it is not going to cause you to get cancer, it is not going to cause lupus, it is not going to cause Alzheimer’s, it is not going to cause diabetes, it is not going to cause Parkinson’s, it is not going to cause multiple sclerosis, it is not going to cause seizure… You get the point. So next time you see someone sharing a stupid meme on social media like the one above, please feel free to share this article on the comments to provide them with the facts.